Do you want to automate your tasks quickly and efficiently? Well, check this list of the best macro software for Windows. The use that you give to the computer is increasing. Over time it has become an indispensable tool. However, even with speed, it presents, you lose time in small details. The solution is to create macros in Windows. For those that this is unknown, macro software is a utility that allows you to automate tasks by repeating a sequence of keystrokes, mouse movements, clicks. They are instrumental in doing repetitive tasks or in doing a job with only one key press. Whether you are a student or a worker, you use a series of tools every day to develop your activity, and you perform the same process every day. This time you spend is, in the long run, a lost time. So let’s see the best macro software for Windows. Luckily, there is an effortless way to reduce that lost time. It is a tool based on the use of key commands and mouse clicks to execute these activities that you carry out regularly. In the same way that with Ctrl + C copies and with Ctrl + V you paste a file, with AutoHotkey you will be able to configure combinations to execute actions that you have programmed. AutoHotkey is a free and open source macro software designed to, with combinations of keys, clicks or mouse movements, define specific tasks. Being able to, for example, run programs and web pages, insert a particular text or fill out forms automatically, quickly, among other things. On the other hand, it can be a handy tool for copywriters; It has a characteristic that makes it unique. In addition to using this program to access programs or web pages with a combination to your liking, it can be used to insert abbreviations or technicalities; making the writing of a document faster. This tool is based on a scripting system. And, for this reason, because at first sight, it isn’t the most attractive neighborhood, there are those who shun the issue. However, with a little patience, it can become a fundamental issue for the development of your activities. Undoubtedly one of the best macro software for Windows. 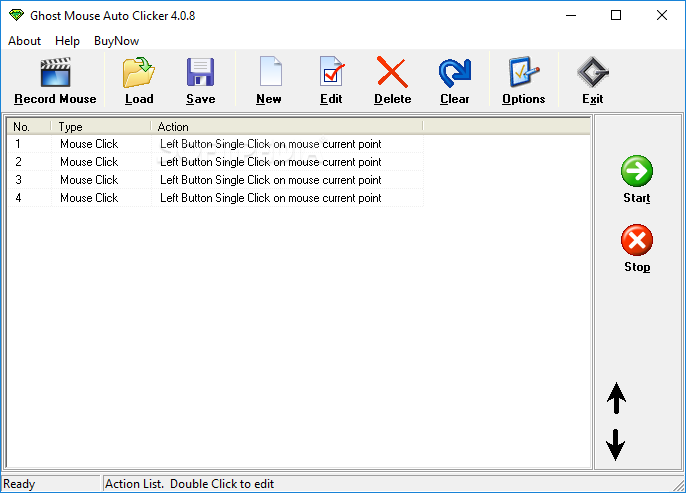 Sometimes you need a tool that records the movements of the mouse cursor, and these are automatic, also the clicks that you make and the keys that you press. For example, when you have something to do manually, either on a website or program that you have to to be doing the same successively all the time, for this, there is software capable of recording everything you are doing on your computer. All of these of course without saving the private data and reproduce as such movements, clicks and or you write again and again automatically. Ghost Mouse is a macro software with a straightforward interface with which clicking on the record button you can start recording everything you want to repeat in how many clicks, movements, and keystrokes that you want. Then stop the recording by pressing F9, and you give the program play so that it repeats precisely what you have done. If you have to do something 100 times, I recommend recording about 10 times the movements and then stop the recording, so as not to be giving PLAY whenever you finish the reproduction of the moves. In my case I use it to make sales of the same product in a game, with which I place the same price for the product again and again since there is no alternative to do everything automatically, it saves you stress this mouse recording system. Do It Again is a very efficient macro software that allows you to automate a series of actions or tasks to make them faster without having to do the whole procedure manually over and over again. For those who aren’t familiar with this type of tools, Do It Again is a Macros program that allows you to record actions and a particular order to do them later with a simple click. To start, create a new task and start putting actions or tasks that you want to record. Once you have finished, press the Scroll Lock key to finish the recording, and finally assign your task an appropriate name. With Do It Again you can create as many tasks as you want, all the tasks are listed in the lower panel. To execute a task, double click on its name, this records each click, mouse click, and movements of the mouse wheel. The Options menu shows a couple of settings, and you can register keyboard shortcuts for particular tasks, set the duration of the time pauses, normalize all pauses, and customize other options. Do It Again is a handy macro software that helps you reduce the time and effort necessary to perform monotonous actions. It works on since Windows 2000 to Windows 10, so you have 100% compatibility. Mini Mouse Macro is just one of the best macro software that allow you to configure macros for the mouse, but there are many others. And as I said, it is always advisable to use proprietary software designed specifically for your model, if it exists. But this is a good alternative, and above all, it is a tremendously light app, with a simple and intuitive interface. Everything is summarized in a button to make the recording of the task, and some adjustments to assign this macro to quick commands of the mouse itself. With this app, you only have to press the button to start the recording and, since then, do the action that you want to record manually. Once finished, you have to stop recording the macro and, as we said, assign the task to any shortcut. In addition to the actions of the mouse, with movements and clicks of the same, you can also record keyboard actions such as, for example, keyboard shortcuts to copy and paste style. Mouse Recorder Pro 2 is another of the best macro software that let you record a series of keyboard and mouse actions to perform monotonous tasks on our computer quickly. Those people who need the web browser to carry out actions related to branding or promotion of their e-commerce know how important it is to autonomously manage the operations of each web platform and thus save time and money. Automating these mechanisms is, therefore, a way to make your business or personal brand profitable. 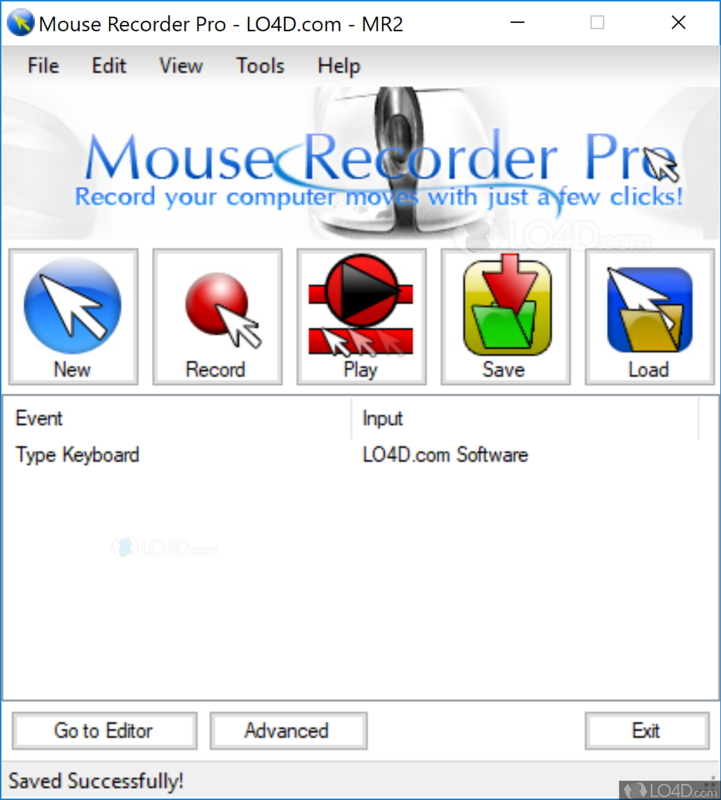 With Mouse Recorder Pro 2 there is also the possibility of recording a chain of keyboard and mouse actions so that a recorded sequence of steps or macros can be played to perform monotonous tasks on your computer quickly. The design of Mouse Recorder Pro 2 is quite simple and easy to configure, and the options in the Settings menu can help you adjust the advanced options and use the engraving mouse more effectively. Perfect Automation gives you the possibility to automate simple or complex routine operations without the need to program in any language. You can choose to record your actions with the integrated macro recorder or assemble custom scripts with pre-configured options such as text manipulation, form dialogs, actions in the registry, interaction with the clipboard, and so on. Each recorded action can be configured individually with a simple form. The results can be saved as a script or executable .exe, completely standalone. 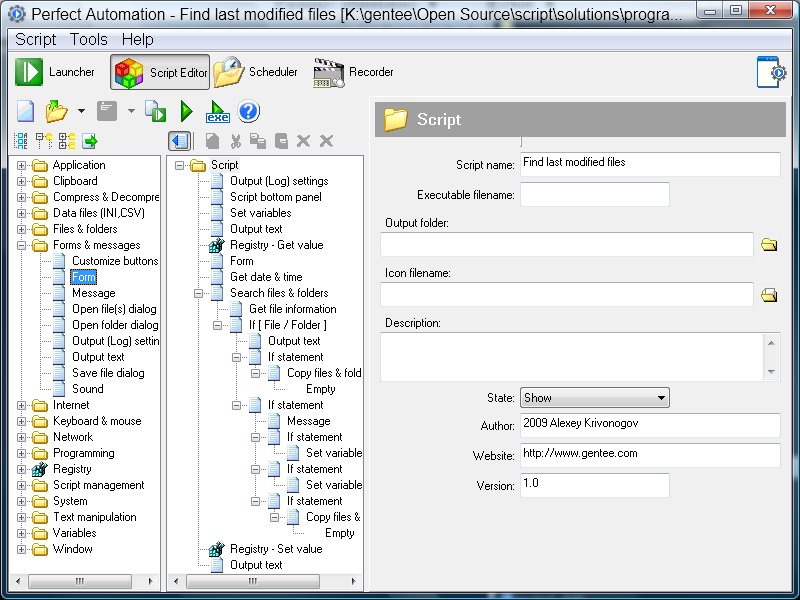 You can run the task automatically with your included task scheduler or create advanced scripts with the script editor. Undoubtedly one of the best macro software for Windows. 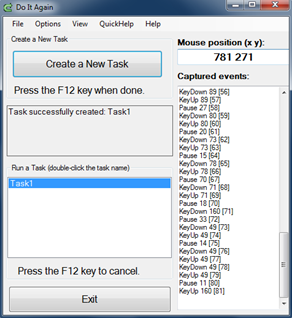 TinyTask records the movements and button presses of your mouse, which allows you to automate specific repetitive tasks. When I tried it, it seemed to me that it captured with excellent quality. 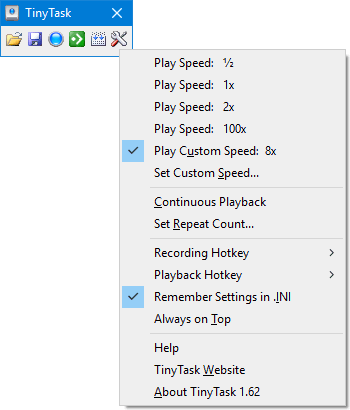 TinyTask is a minimalist macro software to record and reproduce pulsations and movements of mouse screencasts in any version of Windows, and that occupies only 29KB. Although it suffers from the functionalities of other programs with the same purpose, it is a very comfortable and free tool to create an automation a screencast quickly on the fly. Another advantage of such a light program is that it can be sent by mail to anyone, handy for a technical assistance service, for example. The interface has six buttons: Open, Save, Record, Play, Compile and Options. It doesn’t require installation, so it is just: run, press, record, end with F5 or click on Play. Store in REC format, and with the option to compile you can create an executable version of the screencast automation. What else can you ask for such a tiny program? So far those were the best macro software that you can use to automate task easily, you can repeat the things for a particular time. With any of these macro software tools, you have endless possibilities of automation. Do you use another macro program? Let me know in the comments section.